Registration of a trade mark offers different, and important, protections to the registration of a business name. Whilst both can be used to identify your business, registering your business name does not give you legal proprietary rights over that name. A business name is the name under which your business operates. You only need to register a business name if you are trading under a name that is not your own. Registration is through ASIC on a national register which is connected to your Australian Business Number (ABN). You cannot register a business name that is identical to a business name already registered to another business. Importantly, a business name does not give you legal rights to that name. Therefore, if someone uses your business name for their business, you do not have any rights to stop them. Whilst a business name registration provides little proprietary protection to that name, it is a legal and important requirement to register your business name. Your bank may also want to see the registered business name before opening a bank account. A trade mark, on the other hand, legally protects your business name and stops others from using it. A trade mark gives you exclusive use of that trade mark throughout Australia. A trade mark identifies your name or brand and is a valuable marketing tool and business asset. A trade mark can be a logo, letter, number, word, phrase, picture or any combination of these. It is important that you identify what exactly you are seeking to protect, is it the trading name, the logo or a combination of these. Unlike a business name registration, there is no legal requirement to register a trade mark. However, if someone else has registered a trade mark you intend to use, then they can take legal action against you. Another important consideration in applying for a trade mark is correctly identifying the class of goods and/or services your trade mark should be registered for. In applying to register a trade mark, you must provide a description of the goods and/or services that you intend to use the trade mark for. Trade mark registration will give you exclusive rights to use your trade mark in connection with the goods or services you choose. There are currently 45 classes to choose from. In addition to identifying the correct class or classes, you must also list the goods and/or services which you are seeking to be covered by the trade mark registration. It is imperative that you carefully consider the list of goods and services that may be relevant to your business and the proposed trade mark. 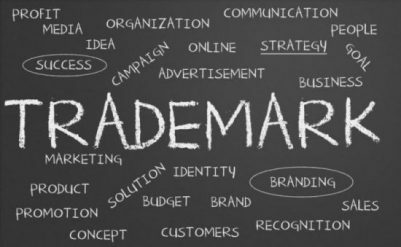 Incorrectly identifying the class, or omitting to include relevant classes or listing goods or services can have significant implications on your ability to enforce your trade mark. A trade mark protects your brand and identity, and provides important protections to stop others using your trade mark on identical or similar goods or where their logo or name is sufficiently similar to your trade mark which may cause confusion as to the product’s origin. If you have any queries regarding trade marks, please contact Jarrod Ryan (jarrod@ryandurey.com) or Alyce Cassettai (alyce@ryandurey.com).